Thanks Retail Retell! I have a few more different graphics for different kinds of posts coming soon. You're on the right track with Food Basics! You're welcome! I noticed that today with your Snapshot graphic. I wish I could put something together that looked that good! And now that I've finally headed over to my desktop so that I could (cheat XD ) search your flickr photostream, I believe I've figured out which store it is: the former Food Basics in Belleville! Ding ding ding! You've got it! I had absolutely no idea that this was an Acme location originally. The additional on the front threw me and I never paid much attention to the pitched roof part after that. 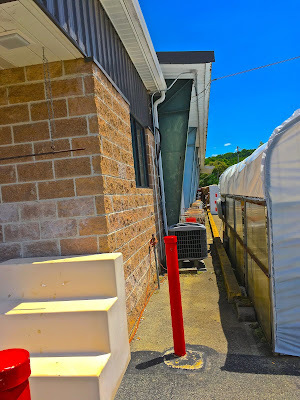 I've been in this grocery several time while riding on the Great Allegheny Passage Bike Trail that goes through town. I too noticed that the staff was less than friendly as well. The other deli/mini-grocery in town was a bit better. My mother is from rural northcentral PA. The town she is from is near a popular hang gliding launch location. They call the folks from out of the area "flatlanders"... and in their minds it isn't a compliment. I think these small towns feel like they are being invaded by those darn demanding city folk who come to whatever the attraction is in town. The bike trail has been a big attraction for the towns along it and I think that the smaller ones like Confluence are still trying to figure out how to be tourist friendly while still retaining their traditional image. By the way the Sheetz in Meyersdale has always been really good to me when I've been out riding on the trail. The problem is the store is on US 219 Business which is down a huge hill from where the bike trail is located. I do like to patronize the local shops but I find them hit or miss in the same way you did. A question: Do you happen to have addresses or general locations of any of the other Acme location you mention? 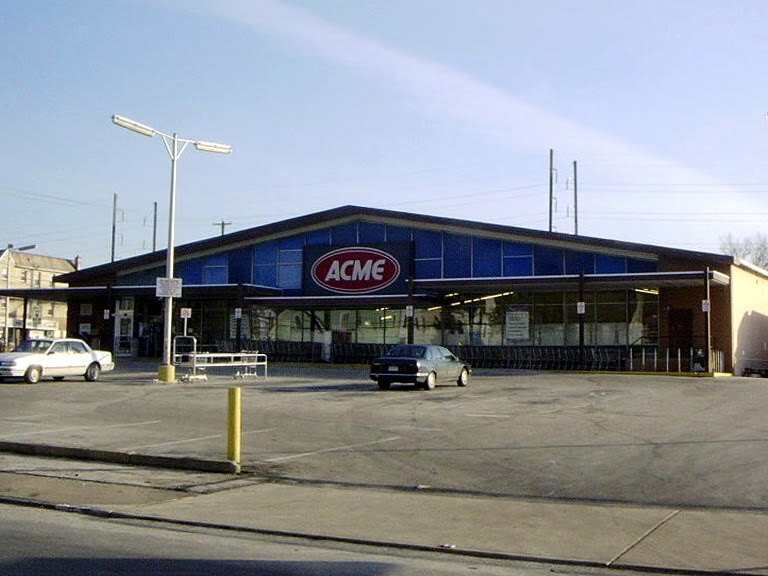 Acme had a big central and northeastern PA presence until the 1980s and 1990s when they started to pull out. The last batch of stores outside the Philly market to go was the remaining rural and northeastern PA stores that went to Penn Traffic in 1995. That ended Acme's PA presence outside their traditional stronghold in the Philly area. When I walked in my first thought was Acme, but then I thought, wait a minute, they were never out here! Turns out they were, I guess. And I understand that the locals must resent outsiders invading their personal area. I don't have any addresses, but I could probably figure some of them out. Check out this page and scroll down to where it says "Page 17 Article Text" for a (really bad) transcript of what is printed in the ad: https://www.newspapers.com/newspage/28014763/ You can figure out most of the town names. I have absolutely no idea what became of those stores -- that was way before my time. Sorry! Thanks for the inside perspective on the Foodmart! Yes, the cashier and several employees in the pharmacy were quite friendly, it just struck me as a contrast with the deli. Maybe I was just there at a bad time. And I'm sure your sandwich would have been great!